Edmonton , Canada, January 25, 2019 – All Clean Property Services of Edmonton has won “Best Of Customer Service” on Houzz®, the leading platform for home renovation and design. The Customer focussed cleaning company was chosen by the more than 40 million monthly unique users that comprise the Houzz community from among more than 2.1 million active home building, remodeling and design industry professionals. ‘WE EXIST TO IMPROVE AND EASE THE LIVES OF OUR CUSTOMERS, SAVING THEM TIME BY CLEANING THEIR PROPERTIES SAFELY AND EFFICIENTLY’. 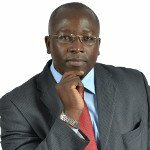 says Patrick Juma, CGO All Clean Property Services. “Best of Houzz is a true badge of honor as it is awarded by our community of homeowners, those who are hiring design, remodeling and other home improvement professionals for their projects,” said Liza Hausman, vice president of Industry Marketing for Houzz. “We are excited to celebrate the 2019 winners chosen by our community as their favorites for home design and customer experience, and to highlight those winners on the Houzz website and app." All Clean Property Services is a reliable ,professional window cleaning and gutter cleaning company. 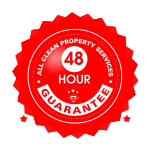 All Clean Property Services is Licenced, Insured, Bonded and Experienced. All Clean Property Services takes pride in giving high quality service consistently. Headquartered in Edmonton, All Clean Property Services serves Edmonton and its surrounding towns, and also operates in Kelowna, British Columbia. Houzz is the leading platform for home remodeling and design, providing people with everything they need to improve their homes from start to finish – online or from a mobile device. From decorating a small room to building a custom home and everything in between, Houzz connects millions of homeowners, home design enthusiasts and home improvement professionals across the country and around the world. With the largest residential design database in the world and a vibrant community empowered by technology, Houzz is the easiest way for people to find inspiration, get advice, buy products and hire the professionals they need to help turn their ideas into reality. Headquartered in Palo Alto, Calif., Houzz also has international offices in London, Berlin, Sydney, Moscow, Tel Aviv and Tokyo. Houzz is a registered trademark of Houzz Inc. worldwide. For more information, visit Houzz®.